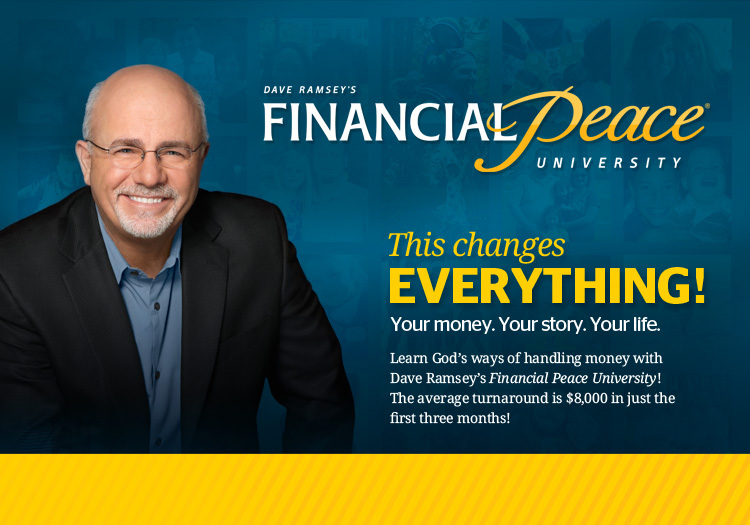 Dave Ramsey is coming to Eureka UMC on April 8th, 2018!! Millions of people have followed Dave's simple principles to take control of their money. You can too! The average family pays off $5300 in debt and saves $2700 within 90 days of completing Financial Peace University. Please join us and REGISTER ONLINE HERE! "Take control of your money!" The Schedule will begin on April 8h with Super Saving Lesson 1!